Every year, 40 million adults--18% of the population--struggle with anxiety disorders. Ativan, the brand-name version of the drug Lorazepam, can help combat the ceaseless distress that anxiety brings. For many users, though, the drug becomes progressively more addictive over time. Ativan's capacity to induce a powerful state of relaxation makes it a popular recreational drug. With millions of people receiving prescriptions for this potent drug each year, most addicts can easily get a handful of pills from a friend. Some even fake anxiety symptoms to get a doctor to prescribe the drug. Ativan helps ease anxiety symptoms by slowing down activity in your brain and spinal cord. Ativan, Klonopin, Valium and Xanax belong to a class of drugs called benzodiazepines. These drugs are some of the most well-studied prescription drugs around, so doctors have a keen understanding of how they affect the body. Changes in mood or energy level. Difficulties concentrating, driving, or operating heavy machinery. Sudden death and accidental overdose, especially when Ativan is mixed with other drugs. Increasing anxiety; this paradoxical effect is especially common among long-term users. Excessive sleepiness and other changes in sleep patterns. Loss of a job, relationship or academic opportunity. Because Ativan slows down activity in your central nervous system, mixing it with any other drug is dangerous. Even a glass of beer or two can be dangerous, so it's wise to abstain completely from alcohol while taking Ativan. Other drugs also pose dangerous risks, but the specific effects depend on the drug. Stimulant drugs can counteract some of the effects of Ativan while simultaneously interfering with your judgment, affecting your heart rate, or altering your rate of respiration. Tell your doctor about any drugs you take, including over-the-counter medications, if you are prescribed Ativan. How is Ativan Abuse Diagnosed? Ativan abuse might look like a choice, but over time, this drug changes the way your body and mind behave, giving rise to a powerful chemical dependency. It is this dependency, in conjunction with continuing to use Ativan in spite of serious risks or negative outcomes, that constitutes addiction. It's tempting to label Ativan a safe drug. After all, thousands of doctors write prescriptions for it each year. Ativan is a prescription drug precisely because of its potential to be dangerous, however. To safely take Ativan, you'll need routine monitoring by your doctor. Lying to your doctor, taking more than the prescribed dose, or using Ativan recreationally all increase your odds for developing an addiction. Who is at Risk for Ativan Addiction? Anyone can develop an Ativan addiction, but some factors put certain people at risk. Prolonged use of the drug is ultimately the biggest risk factor for Ativan addiction. Some users accidentally become addicted after years of taking the drug without a break. Others get hooked fairly quickly, and may not even realize they have an addiction until they try to stop. An anxiety disorder is a significant risk factor. Anxiety makes Ativan a more tempting option for would-be recreational users and increases the likelihood of receiving a prescription for the drug. Mental illness is itself a risk factor for drug use. About half of all people who struggle with mental illness eventually succumbing to addiction. A history of trauma, a family legacy of addiction, chronic stress, and a prior history of addiction all further increase your odds of developing an addiction to Ativan. Find a Meeting Narcotics Anonymous offers a 12-step approach to recovery from prescription drugs such as Ativan. Find a meeting near you. If you're concerned about your use of Ativan, you need to know that there's no right time to seek help. Ativan addiction typically gets worse with time, so the longer you delay treatment, the more difficult treatment may become. Requests from people you love and respect to seek help. 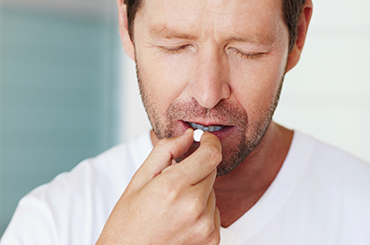 Experiencing health problems related to Ativan. Anxiety or depression that gets worse. Physical or psychological withdrawal in between doses. Mixing Ativan with other drugs. No longer getting the same effects you once got from Ativan. Many Ativan users spin a web of lies, leaving their loved ones unsure of what to think or do. Addiction is a disease, not something anyone willingly chooses. This means that those in your life suffering from addiction deserve compassion, not judgment. It may be painful to say no to someone you love, but you do those addicted no favors by giving them money for drugs or providing a place to stay. 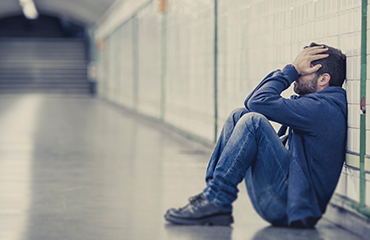 Some suffering from addiction need to hit "rock bottom" before they're willing to seek help, and offering help only makes having an addiction easier--thereby decreasing the addict's incentive to seek help. If you or someone you love is ready to kick Ativan for good, you may be surprised by the myriad treatment options at your disposal. For treatment to work, it should comport with your values and fit into your lifestyle, so don't be afraid to ask lots of questions. You don't have to pick the first facility you find, and you're fully entitled to keep looking till you find a place that feels right. With outpatient treatment, you continue living at home, but attend treatment sessions during the day. The frequency of treatment depends on the program you choose, where you are in your recovery journey, and your personal preference. Medical detox, which may be outpatient or require a very short inpatient stay, helps keep you safe as you detox from Ativan. Your doctor may prescribe medication to manage your withdrawal symptoms (which can be quite dangerous, and can include seizures and convulsions if not monitored closely), and may even offer you treatment to reduce the severity or frequency of your drug cravings. These programs provide many of the same benefits of inpatient treatment, and typically last for all or a significant portion of the day. Unlike inpatient programs, though, you go home at the end of the day. Therapy affords you the chance to explore why you're an addict while getting expert advice on how to combat your cravings and cope with stress. These peer-led groups allow you to benefit from the wisdom and experience of other addicts. Narcotics Anonymous (NA) is entirely free, with meetings happening at virtually every time of day all across the globe. Inpatient treatment is the "rehab" you so often hear about in the popular media, but not all rehab facilities are the same. Most merge some combination of therapy, medical detox, 12-step programs, life skills training and group support. Inpatient treatment is available in a number of formats. Luxury rehab facilities build upon the inpatient model by offering more spacious rooms, spa-like services, gourmet-quality food, and more privacy. You may also be able to enroll in classes on topics ranging from yoga to nutrition, and in some cases may even get career coaching. Executive rehabs take the model of luxury one step further. In addition to offering more privacy, these facilities allow you to continue working. You may be able to meet with clients, have access to a business center, or even be able to leave for work-related tasks. Because executive rehab centers cater to high-level executives and busy professionals, they have high privacy standards and offer private rooms. Teen abuse of prescription drugs has increased 33% since 2008, in spite of national campaigns to draw awareness to the issue. For many teens, prescription drugs offer an easy high since mom, dad, grandma or grandpa may have a number of prescriptions in their medicine cabinet. Disposing of any drugs you no longer need. If your teen has a problem with Ativan, don't treat it as a discipline problem. No amount of punishment will dissuade someone suffering from addiction from using, and teens have a knack for getting access to even the most inaccessible of drugs. Instead, teens with drug addictions need drug treatment. For many teens, inpatient rehab is an excellent option because it removes them from peer pressure and offers a relief from any other stresses they face. No matter what option is right for your teen, though, remember that prompt treatment can save his or her life. Drug addiction stunts brain development, so delaying treatment for your child's drug addiction is akin to playing with fire. If you're suffering due to a loved one's addiction to Ativan, call our toll-free, 24 hour hotline at 1-888-993-3112Who Answers? today.